Last night I had the opportunity to lead my small group from church in a little discussion of lectio divina followed by a guided time of meditation on John 6:35-37, as mentioned here. I started with asking whether any of them had heard of lectio divina before Sunday’s sermon, and if they had any engagement with any other Christian meditative practices. Turns out that this is not the first time that our minister has talked about lectio divina, and that he had even led all the small groups in lectio divina himself once. But none of us was a regular practitioner of the discipline — and the whole point of our minister bringing it up on Sunday and having it our focus on Thursday was to help us get into this way of reading the Bible. I then talked a bit about the practice and its goals, noting that although we often associate it with monks, the practice of praying through Scripture as described by Martin Luther is basically the same thing (Tim Keller discusses this in his book Prayer). That is: meditative and prayerful reading of Scripture with an openness to the movement of the Spirit is for all Christians. I then had to give my little ecclesiastical historian spiel about the practice and how we actually have very few details on method before, say, Guigo II around 1180, but that what we’re doing is in the same spirit as people like St Augustine or St John Chrysostom or St Anselm, even if the exact details may not match up. 35 Then Jesus declared, “I am the bread of life. Whoever comes to me will never go hungry, and whoever believes in me will never be thirsty.36 But as I told you, you have seen me and still you do not believe. 37 All those the Father gives me will come to me, and whoever comes to me I will never drive away. We all got something out of it — insights such as the comfort that Jesus will never drive us away. There is also a personal challenge — we come to Jesus as children with great readiness, but somehow it gets harder as we get older. And the reminder that Jesus is all we need to be satisfied spiritually. Everyone said they liked it, and we’re going to try practising lectio divina on our own using the text from Sunday and see how it goes. Our Bible studies are based on the sermon! And I, not knowing this would be the topic and for reasons entirely unrelated, volunteered to lead this week’s study for my group. So now I get to lead my small group in a discussion about lectio divina as well as a guided session of reading. As a trained ecclesiastical historian and enthusiast about pre-modern Christian spiritual practices, I don’t know what to do. For example, is it really worth talking about how the set procedure we (post)moderns call lectio divina isn’t what even St Benedict meant? That, out of Christians who write in Latin (and thus may have used the pair of words lectio divina), most of them before the High Middle Ages used the phrase to mean sacred reading in a broad sense, including prayerful and meditative reading as well as what we today would distinguish as ‘study’ and sometimes not reading the Bible at all but commentaries on it or spiritual writers of acknowledged richness? The fact is, if I do say that, it may not really affect the way any of us in the room practise the reading of sacred Scripture. The procedure our minister has outlined for us in preparation for Thursday will help us ruminate upon the word in a quiet, prayerful manner, and, even if it is not absolutely and precisely ancient has its roots in ancient Christianity. Then again, I feel like history matters. 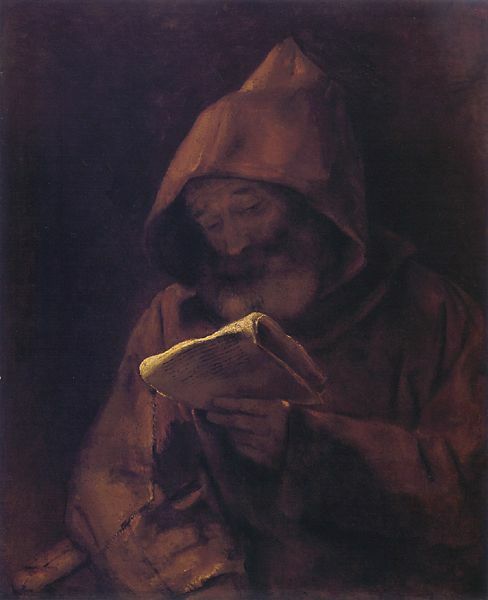 The modern practice of lectio divina is itself part of tradition as a living thing. 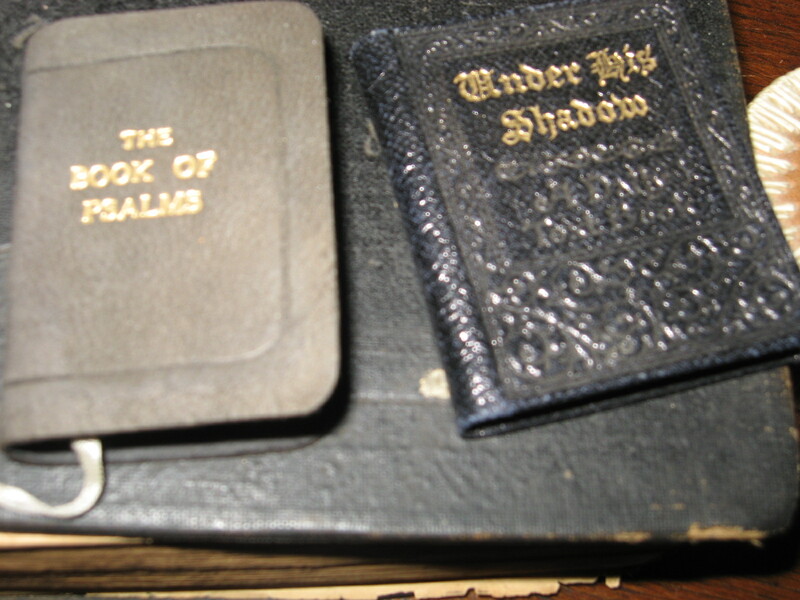 We are seeking the same God with the same Scriptures, and we engage with the practices of our predecessors in making something like this, something that does utilise ancient and medieval beliefs about Scripture and about how God talks as well as about prayer and the relationship between the individual Christian and Scripture and whatnot. But I am excited about trying something different from standard Bible study group fare. I am not the most generous person, and I often find the takeaway from Bible studies fairly low. There are times I would rather have read a commentary on my own and simply had coffee with my Bible study people. Okay, so it’s not yet been bad at this church, but this week will only be my fourth time making it to Bible study. I am also excited about getting people into any of the older spiritual practices. This one is a good entry point — something about Scripture (evangelicals rightly love the Bible) with ancient and medieval roots, tweaked for today’s Christian. It’s probably an easier sell than St Ephrem’s Hymns on Paradise or 100 communal Jesus Prayers. Benedictine monks are meant to be literate. Eventually, it will come to pass in the Middle Ages that such a creature as the ‘choir monk’ will exist — someone who can sing the offices in Latin but does not know Latin. But originally, in the Latin-speaking world of Late Antique Italy, it was expected that they would memorise the Psalter and offices both orally and from books, in a language that they understood. Indeed, in the language that they spoke every day. Throughout the Rule of St Benedict, there is a lot of reading and listening to people read. When Benedict discusses the different offices within the monastery, we learn about the ‘weekly reader’ who reads at meal times (chapter 38). The rest of the monks sit in silence while the reader reads; they use sign language at the table when they need someone to do something. No moment for edification is lost for the Benedictine. In chapter 48, we read about the daily round in the Benedictine monastery. The day is divided between times of work and times of reading, besides the set hours to pray the office. Reading is called lectio divina at the start of this chapter; Carolinne White translates that phrase as ‘biblical study’. What exact process of reading, and whether it refers specifically to Scripture, is less clear than many would make you think. 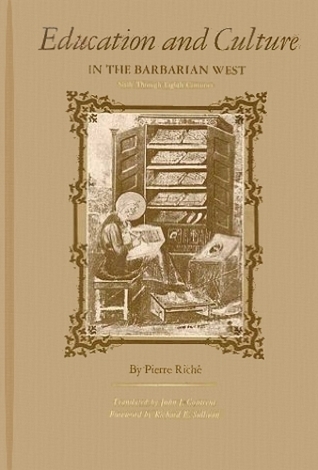 Pierre Riché, in Education and Culture in the Barbarian West, Sixth Through Eighth Centuries, interprets lectio divina generally to mean the study of Scripture for the end of devotion and religion, as opposed to a more scholarly or academic pursuit. What techniques or meditation on Scripture are involved is less clear at this stage. Sometimes, though, it does seem that lectio divina includes scriptural commentaries as well as Scripture itself. 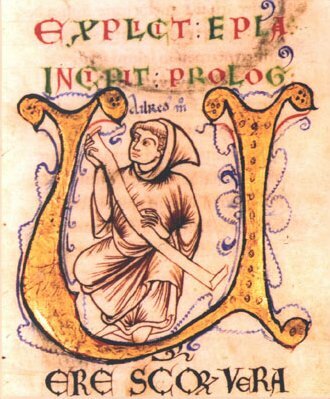 In the early Middle Ages, the tendency was more towards commentaries like Bede’s that are a bit more practical and down-to-earth, or Gregory the Great’s that are more geared for monastic life than the sort of commentaries that seek to unpack thorny problems of interpretation like you’ll find amongst scholastics or that are more literary like Cassiodorus. So, since it is Lent in a week, let’s think about orienting our reading towards God. And our eating. And our working. Everything we do should be done to the glory of God. Therefore, keen meditation, as it begins, does not remain on the outside, does not drink on the surface, fixes it foot higher, penetrates interior things, probes individual matters. It carefully considers [in the verse, ‘Blessed are the pure in heart…’] that it does not say, ‘Blessed are the pure in body,’ but ‘pure in heart’ — so it is is not enough to have hands unstained by wicked deeds, unless we are purified from base thoughts in our mind; this the prophet confirms with authority, saying, ‘Who will ascend the mountain of the Lord, or who will stand in his holy place? The man innocent in his hands and with a pure heart.’ (Ps. 24:3-4) Again, it considers how much the same prophet desires this purity of heart when he says thus, ‘Create a pure heart in me, O God,’ (Ps. 51:10) and again, ‘If I saw iniquity in my heart, the Lord would not hear me.’ (Ps. 66:18) It considers how stirred up blessed Job was in such watchfulness, when he said, ‘I have settled an agreement with my eyes that I am not thinking about a virgin.’ (Job 31:1) Behold how much a holy man limited himself, who closed his eyes lest he see vanity (cf. Ps 119:37), et perhaps incautiously behold that which later on he would desire reluctantly. After it has drawn out these thoughts about purity of this sort of heart, it begins to think about the prize, how glorious and desirable it would be to see the desired face of the Lord, ‘beautiful in form before all the sons of men’ (Ps. 45:3), not now humble and poor, and not having that form with which His mother clothed Him, but the clad with the robe of immortality and crowned with the diadem with which His Father crowned him on the day of resurrection and glory, the day ‘which the Lord has made’ (Ps. 118:24). It considers that in that vision there will be that satisfaction about which the prophet says, ‘I shall be satisfied when your glory has appeared’ (Ps. 17:15). There is a sweetness and richness to Guigo and his pursuit of treasures in Scripture: What does this Bible verse really mean? Where do we see ‘purity of heart’ in Scripture? What does it mean to see God? This is what Lectio Divina is about; I see no reason why we should not practise this method of searching the Scriptures. I am not the greatest practicioner of the medieval discipline of Lectio divina; I really only started a few weeks, and only sporadically. To get myself into the discipline, I’m reading Guigo II, Prior of La Grande Chartreuse, the motherhouse of the Carthusians in the late 1100s, Scala Claustralium — The Ladder of Monks. My Internet research says that he’s the first to clearly articulate the now-standard quartet of lectio, meditatio, oratio, and contemplatio. Lectio is the careful investigation of the Scriptures with the attention of the soul (animus). Meditatio is the zealous activity of the mind (mens), seeking out the knowledge of hidden truth by the leading of its own reason. Oratio is the devoted attention of the heart to God for the removal of evil or the acquisition of good things. Contemplatio is a certain elevation above itself of the mind suspended in God , tasting of the joys of eternal sweetness. This is a concise, little book geared towards writers who wish to ground their lives and work in prayer. Personally, none of the prayer practices outlined by Cyzewski were new to me — but that’s not the point. Indeed, the brevity and clarity with which he quickly outlined these practices were truly refreshing for me. They were also a kick in the pants — I’ve read about this stuff before! Why don’t I practise it!? The tips are practical and down-to-earth about how to incorporate some practices from the Christian contemplative tradition into your life, and how doing so helps your writing. The prayer practices that get specific attention are centering prayer, the Examen, lectio divina, and the liturgy of the hours/daily office — with a reminder that none of this will succeed without community and good habits as well as a chapter about free writing and how it is both important to the writer’s craft and spiritually rich. I recommend this book to any Christian interested in starting out in these sorts of “mystical” practices — it’s only 47 pages long! And especially, of course, to writers.